Attention-deficit hyperactivity disorder. Development, intelligence, visual art, event related potentials, gaze movements. Dr Christoph Klein is a member of the Perception, Action and Memory research group. 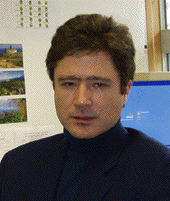 Please visit the publications page of Dr. Christoph Klein to view recent publications.